Price Reduced! 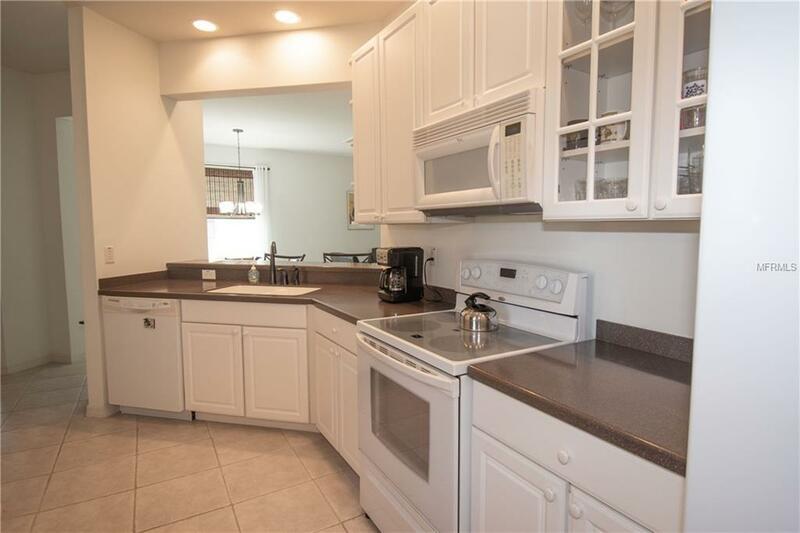 !Delightful 2BR plus DEN/2BA/END VILLA in Venetian Falls. Located in a QUIET CUL-DE-SAC street w/ NO THROUGH TRAFFIC. Walking through the beautifully landscaped entryway, you will enter a large screened porch area. Step inside and appreciate the high ceilings together w/ lots of natural light. TILE FLOORS THROUGHOUT for easy care. Preparing a meal is comfortable in the large eat-in-kitchen w/ raised cabinets, Corian countertops, plus breakfast bar. The split floor plan offers a maximum on privacy when your guests arrive. Spacious Master Suite, his and her closet, Master Bath w/ dual sinks and walk-in shower. 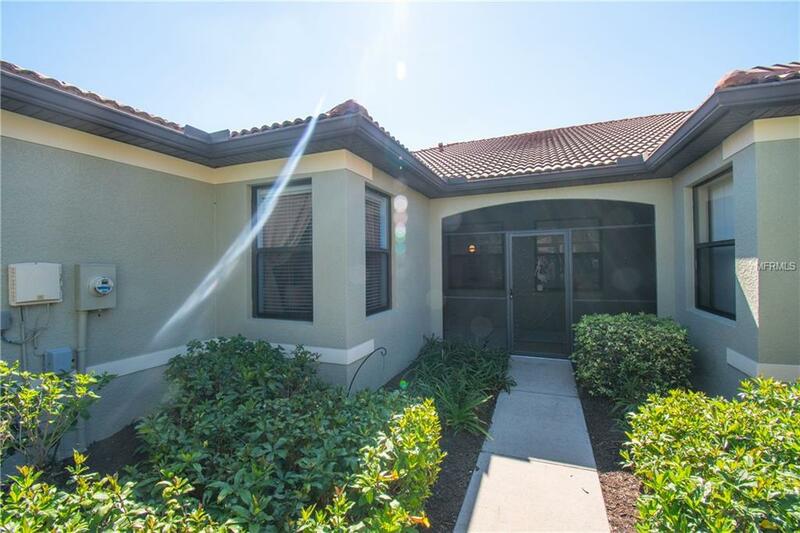 Multi-season screened lanai with quality windows backing up to a nature preserve for year-round enjoyment.Exterior features: screened front porch, rain gutters, tropical landscaping and HURRICANE WINDOWS for your peace of mind. Garage floor freshly painted w/ample storage cabinets and workbench. Move-in-Ready with furniture negotiable. 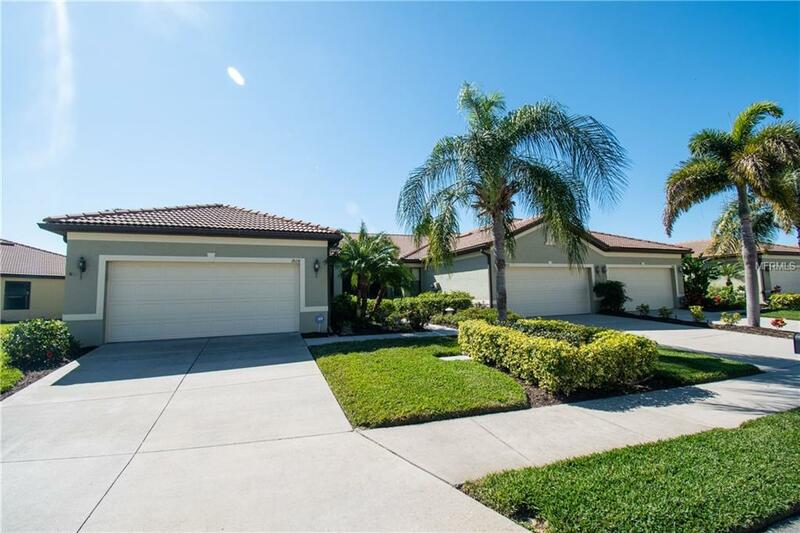 Venetian Falls, a 55+ active GATED lifestyle community has a 16,000 Sq. 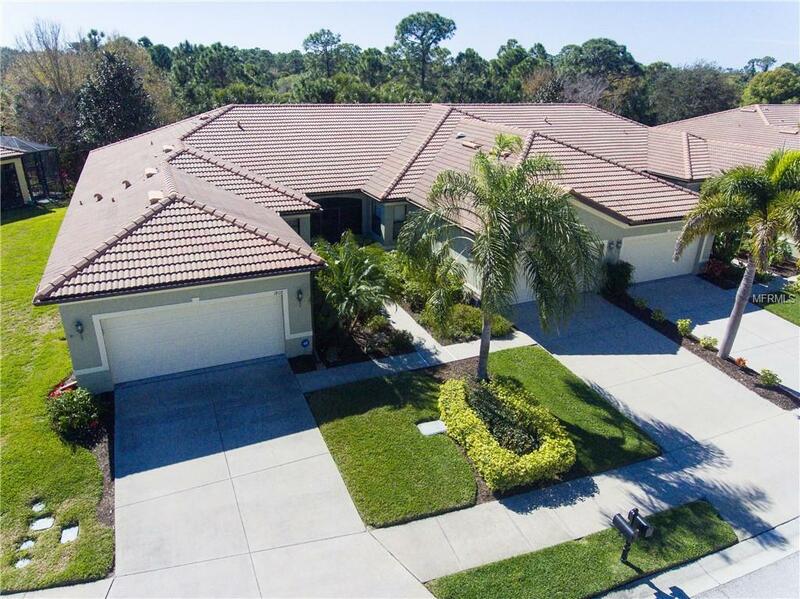 Ft. Clubhouse w/ full social calendar, state of the art fitness facility, dance hall, car/pool room, library, large heated swimming pool, lap lanes, whirlpool/spa, resistance pool, bocce ball courts, internet caf, nine-hole putting green, vegetable garden. Start your maintenance free lifestyle and reasonable HOA fees that include lawn care, roof power washing, exterior painting of house and, of course, use of all the amenities. Minutes to Venice downtown and the Gulf Beaches. Listing provided courtesy of Bay Breeze Intl Realty.